Innergex is a leading player in renewable energy and sustainable development. Established in1990, the Québec-based company specialises in the production of electricity from renewable sources, in particular wind, hydro, and solar energy. Innergex’s primary mission is to increase its production of renewable energy by developing high quality facilities, operated with respect for the environment and balancing the best interests of local communities. The company has numerous projects under development in Canada and internationally, especially in the United States, Latin America and Europe. A well-established presence around the world, with a gross capacity of 1,800 MW in hydroelectricity, wind and solar energy. 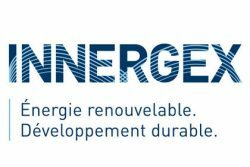 In France, Innergex intends to establish a partnership strategy with local players that have a strong presence in the region. France already boasts a total 317 MW of wind power generated by 15 parks and 135 wind turbines. As part of this development, and following research across several sites in France, the company chose the city of Lyon, which is especially attractive, especially for Quebec companies. In fact, Lyon and Montréal have similar profiles in terms of industrial and digital ecosystems, and since 2016 they are connected by Air Canada’s Lyon-Montréal direct flight. Aderly helped Innergex to find premises, recruit staff, and network with local players. The Lyon office currently has 4 employees, and will be joined by an additional 3 people by the end of 2017. By 2019, there will be over 10 people on the Innergex site in Lyon.